The Trees Grin Beside Me by Auryn Inc. 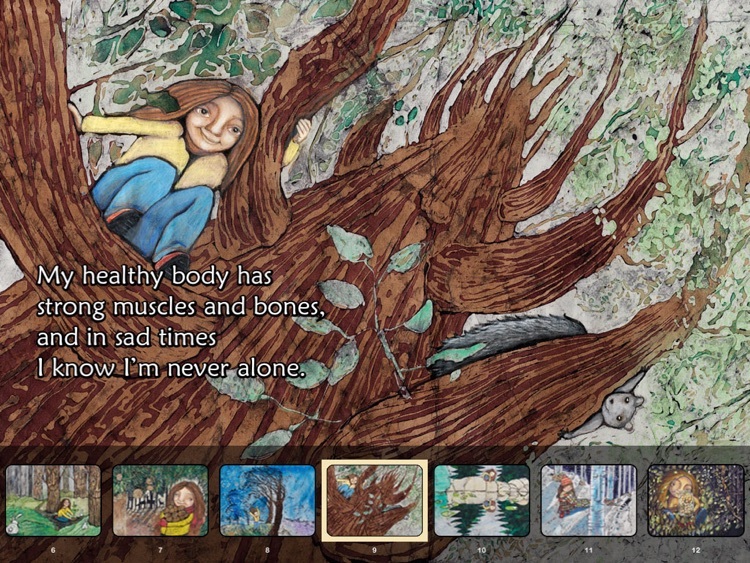 The Trees Grin Beside Me is an enchanting children’s picture book app that celebrates the special relationship that children have with the natural world – especially trees. 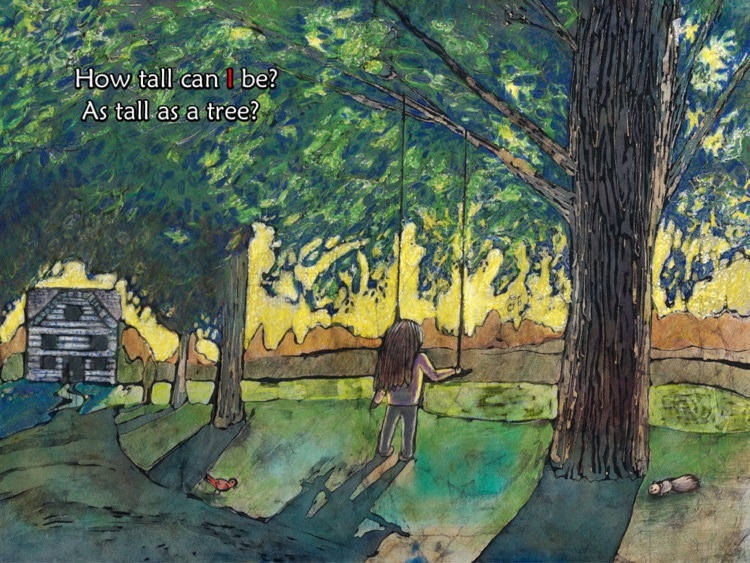 By comparing herself to the majestic trees around her, a young girl begins to learn more about the true meaning of beauty, strength and peace. 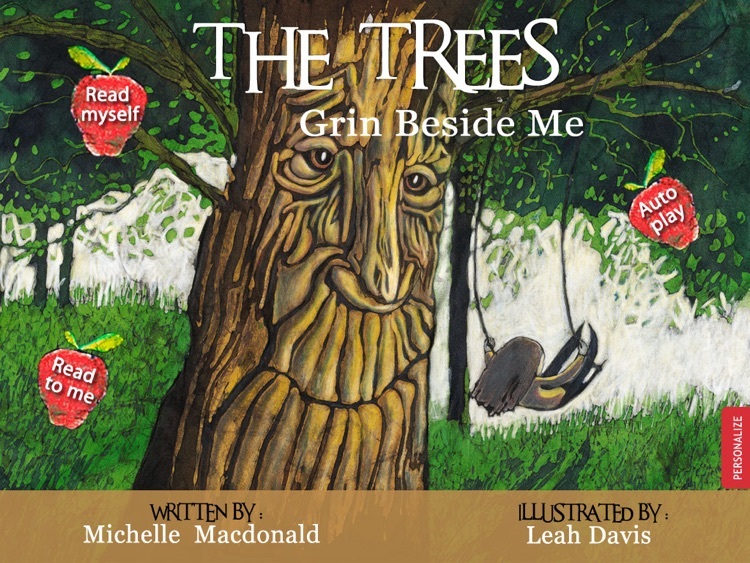 Following a series of amusing and lyrical questions and answers, she finally comes to realize the unexpected teachings that trees have to offer. In this gentle story of reverence for the outdoors, the reader is provided with a refreshing reminder of the interconnectedness of humans with nature. With its deep and textured illustrations and charming text, this book will inspire children and parents alike to connect with nature in the outdoors. 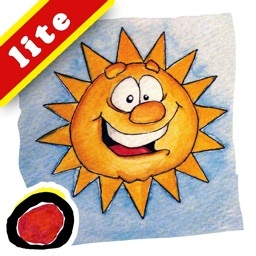 This book app is ideal for children of preschool to primary school age. 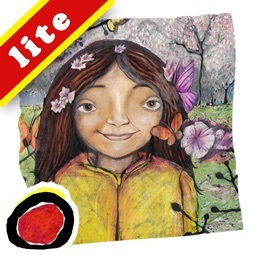 "The Trees Grin Beside Me" is another educational storybook app by Auryn. 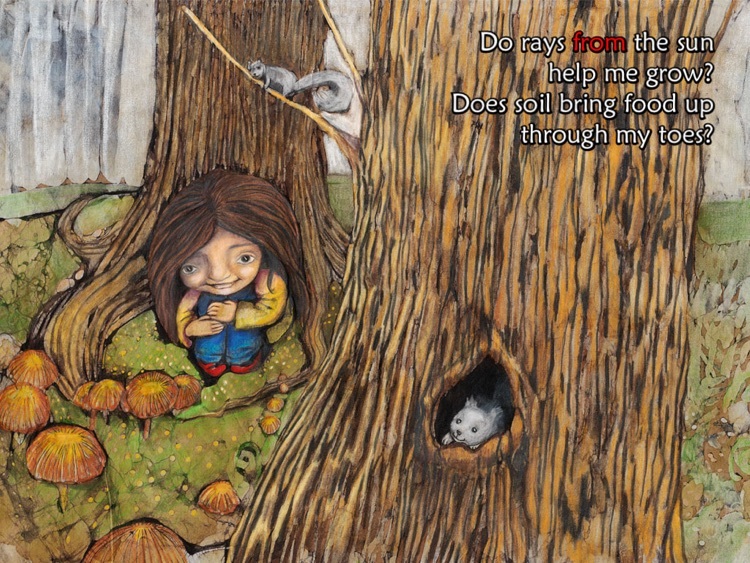 The app is based on Michelle Macdonald’s book by the same name, with illustrations by Leah Davis. 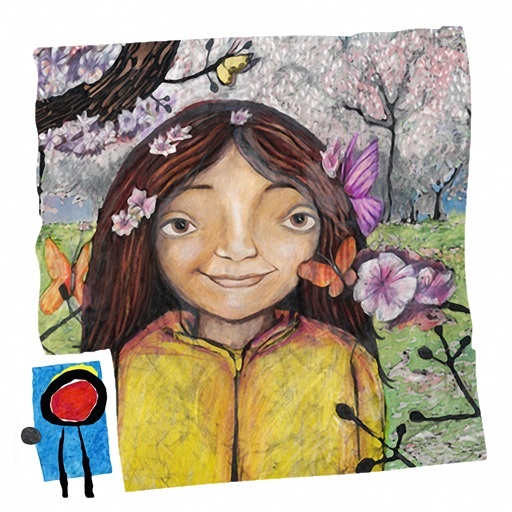 The sweet narration is done by a professional 10-year old actress. ▶ Build vocabulary by associate images with words: when an image is touched, the associated word is spoken and the written word displayed. 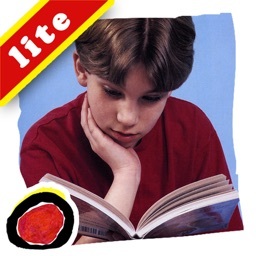 ▶ Karaoke effect - when a word is spoken during narration, the individual word is highlighted. ▶ Touch a word in the text to hear it being spoken. ▶ Expand your child's creativity by writing your own version of the book; personalize it to include your child’s name, or add in the name of your favourite tree or forest! 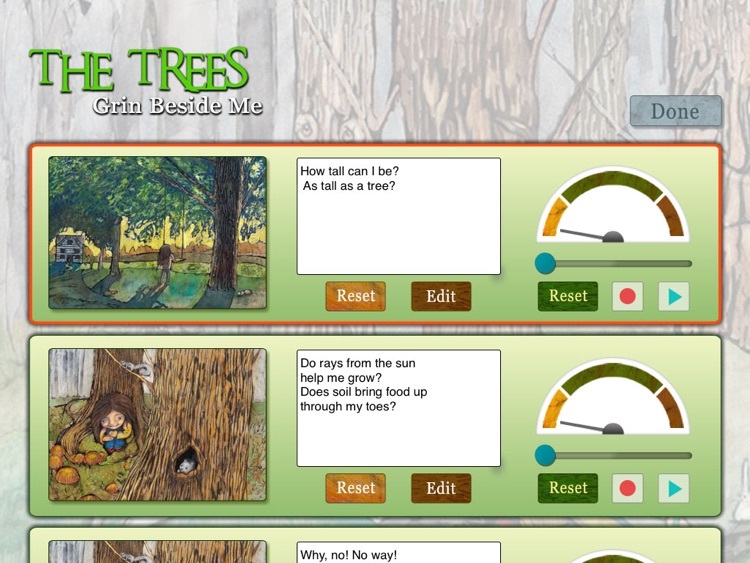 "Read to me" - Listen to the narrated story while the text is displayed Karaoke style. 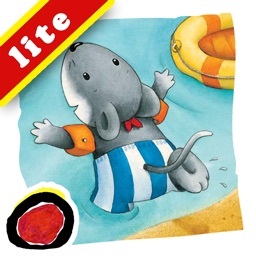 After the narration finishes on a page the child can interact with objects till they are ready to move to the next page. "Read myself" - There is no narration but the child can touch a word to hear it being spoken aloud. "Auto Play" - same as "Read to Me" except the page advances automatically once the narration is finished. Useful for those long car rides when you want the child to have a complete book experience. Questions? Comments? Just want to chat? [email protected] : we’re listening!